Liftmaster offers top solutions for both businesses and homes as far as the garage door opener access control systems are concerned. As one of the top manufacturers for the production of such systems, our customers can find a variety of access control devices that will make their lives convenient, easy and safe. When people seek reliable solutions, “Garage Door Repair Monroe” knows that the Liftmaster products will never disappoint even the most demanding client. From a great choice among electric openers, remotes and extra accessories, the name of Liftmaster has become synonymous to perfection and convenience. 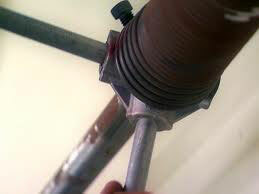 Our company trusts only quality brands and Liftmaster definitely manufacturers top products. It actually manufactures exclusively openers and their accessories, and puts emphasis on their power, quality and safety features. The top priority of our staff is to help people discover their own needs in order to lead them into choosing the right opener. Openers come with great inherit characteristics and the extra accessories will just follow. As far as garage doors are concerned, Liftmaster makes excellent openers and accessories for both home and commercial use. When you are interested for home openers, you can have options between the elite and premium series of screw, quiet belt and heavy duty chain drive openers. With excellent basic features, which include all necessary safety systems, motion detectors, timer to close and rolling codes, home openers are durable, can come with backup batteries, are energy efficient and some of them have the MyQ technology for opener control through internet built in. 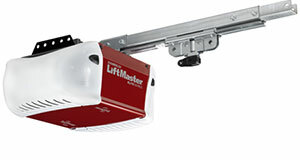 Liftmaster has excellent openers for industrial use with very powerful garage door motors for heavy duty doors and multiple cycles each day. These systems share similar characteristics with residential options as far as inherit characteristics and safety sensors are concerned and a fire door release device can also be added among extra accessories. Our company is here to assist you in finding the perfect match for your own garage door but also the perfect garage opener remote. All clickers, whether simpler or multi code, work with rolling code technologies to ensure safety. There are surely options among keypads and great wall consoles. For those interested in the newest high tech products of Liftmaster, we can introduce you to the internet getaway system, which is the smart way of controlling your opener from a great distance. You can also connect your smartphone or tablet with the remote light control device, which can be placed close to any lamp in the house so that you can have access to turn on and off the lights. The Liftmaster products have taken one step forward in terms of high technology and we follow with great services and top knowledge in order to inform our customers accordingly and help them make wise choices. We are here for further information!